During the tour you will visit two wonderful summer residences of Russian tsars – Catherine’s Palace with its legendary Amber room and Paul’s Palace. And enjoy your lunch time at great Russian tavern! 8:30 – 9:30 – Meeting your guide after a hearty breakfast. Heading out of the city early to spend the day in tsarist opulence. 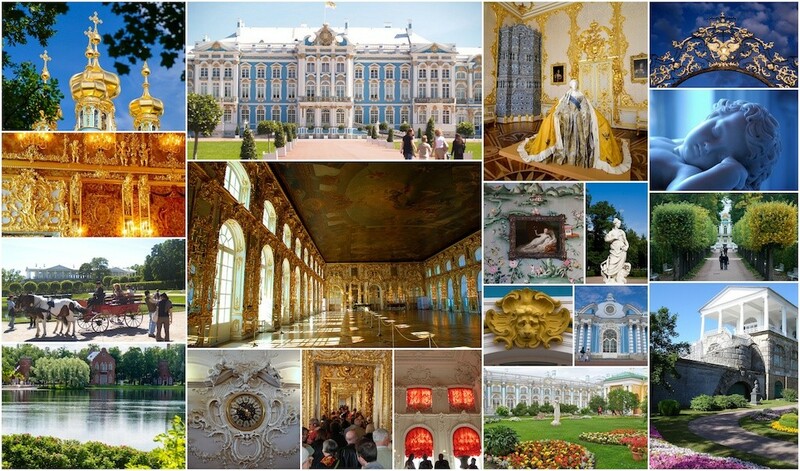 We will be visiting two wonderful residences – Catherine’s Palace and Paul’s Palace. 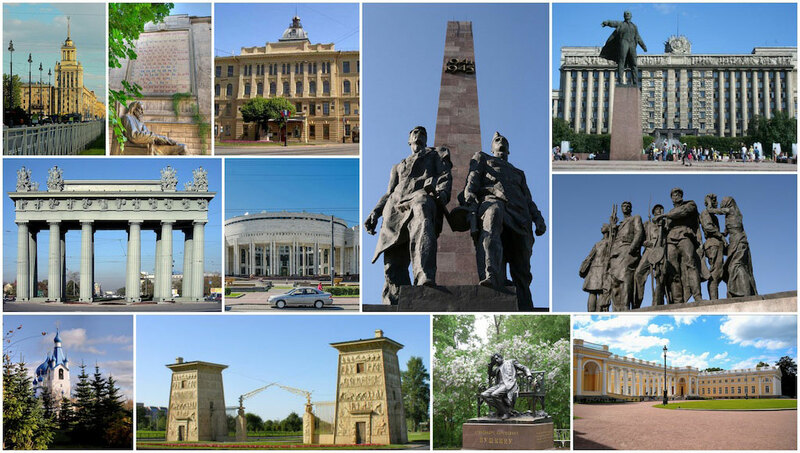 On our way, it takes approximately 1 hour to get there, you will discover Moscow prospect with its interesting architecture and historical monuments of Soviet era and WW2. And finally you will see the Egyptian gates, which are gloriously marking the entrance to Tsars’ village. We will pass by the Alexander palace, the residence of last Russian tsars’ family and the Lyceum where the greatest Russian poet Alexander Pushkin studied. 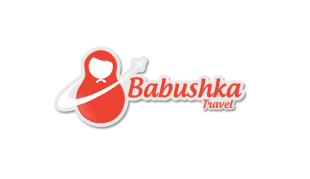 9:30 – 11:00 – Visiting the Catherine Palace, the Amber workshop, walking in the gardens. 11:00 – 11:15 – It takes only 15 minutes and we are in the neighbouring royal residence Pavlovsk. It is a wilder and even more beautiful. 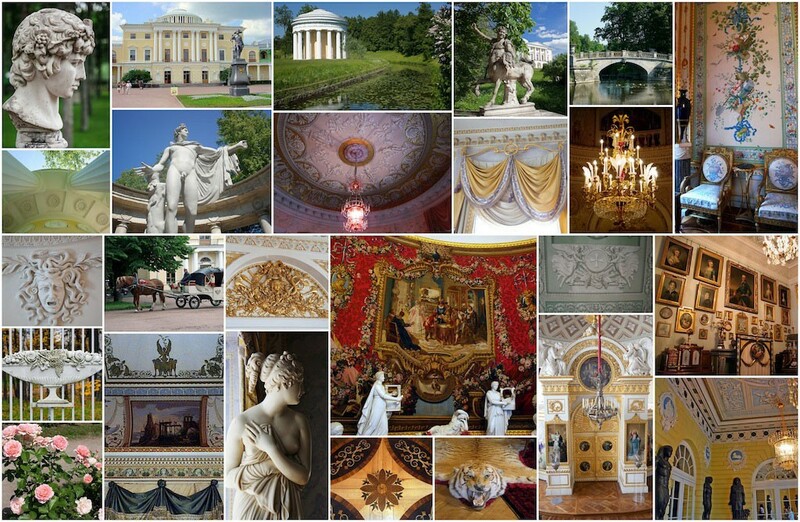 11:15 – 12:45 – Visiting Pavlovsk Palace. The Palace has three floors with amazingly rich interiors and collection of art of 18th and 19th centuries. 13:00 – 14:30 – Lunch at Podvorye restaurant. The best place to try Russian national dishes and drinks. 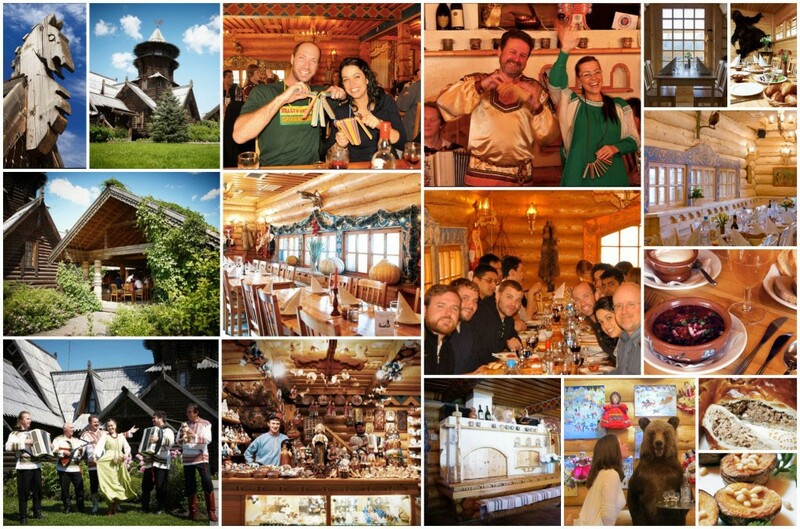 Enjoy special atmosphere of an ancient Russian countryside tavern where you may also participate in singing and playing folk music – It’s fun! The place is very popular with locals too. 21:00 – Are you ready for More? Just let us know!